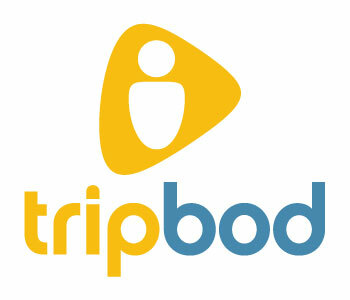 Europe’s leading Accessible Travel organisation, Tourism for All (TFA, www.tourismforall.org.uk) is teaming up with the global travel community (and all round coolest ethical tourism site around at the moment) Tripbod.com. The aim is to find as many local people as possible with a knowledge of accessibility in their area to become ‘Tripbods’ and offer their local knowledge to visitors. Tourism For All’s Carrie-Ann Fleming, a Tripbod herself, explains that the idea is an extension of the core Tripbod philosophy. “It’s all about empowering truly independent travel. Connecting with a like-minded local Tripbod before you arrive means you get straight to the knowledge source you need. Disabled people already have all the knowledge they need gained from experiences, good or bad, to offer others with similar concerns all the information they need before they travel”. The announcement comes within days of Easyjet hitting the news for two cases of discrimination against disabled travellers and Broom acknowledges the timeliness of the partnership. “These cases reflect poorly on the travel industry and we want to show another side of the story. 2012 is a massive year for travel in the UK and it would be both a shame and a failure if visitors are unable to enjoy fully their visit due to poor information”. Thankfully that will now not be the case as Tripbod and TFA will be ensuring that every traveller has access to a like-minded local Tripbod to help plan the perfect trip. Fleming adds, “The initial focus of the partnership will be on recruiting Tripbods in the UK with a knowledge of local accessibility, but the existing Tripbod network is global and we are welcoming everyone everywhere with a passion for independent accessible travel to join us. What’s more, we will be offering simple and effective training for Tripbods who want to help disabled travellers but need a bit more advice and support.” Let’s hope this starts a global growth in accessbility being included in the responsible tourism agenda from now on too, as Tripbod trip the light fantastic into a sector which has been in much need of attention for a long time now. Read my other recent article on accessible tourism here. This entry was posted in Articles and tagged accessible tourism, disabled tourists, Tourism for All, tripbod. Bookmark the permalink.